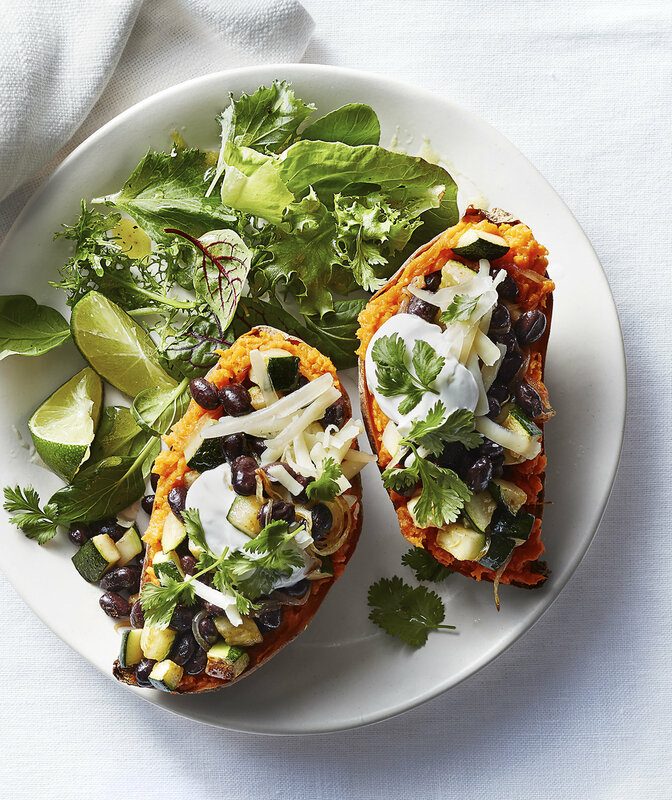 Sweet potatoes make for a healthy, flavorful dinner when filled with savory beans and veggies. Cooking the starchy root in the microwave cuts down on cook time, meaning you can have this fiber-packed meal on the table in just 20 minutes. While the potato is cooking, the black bean filling comes together on the stove. Just before serving, top each potato with white Cheddar cheese, and serve with a lime wedge. And be sure to save any leftovers—the veggie-bean mixture would be great tucked inside tacos or on top of nachos.